We've spent a few days messing about on rivers, a couple of days on a pretty river mooring in a quiet, remote spot, and a day with a very good friend. I like rivers. 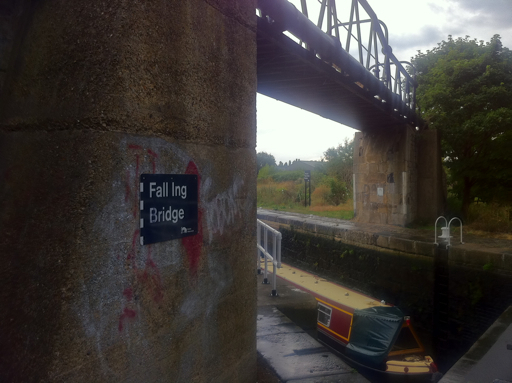 They are my favourite part of the waterways network: never boring, never direct. Today's destination was due East of today's starting point, but we still spent an hour travelling due West and 45 minutes heading South. We saw otters, a mink, loads of countryside and (briefly) some mobile phone signal. We ignored that last bit and pretended it didn't happen. 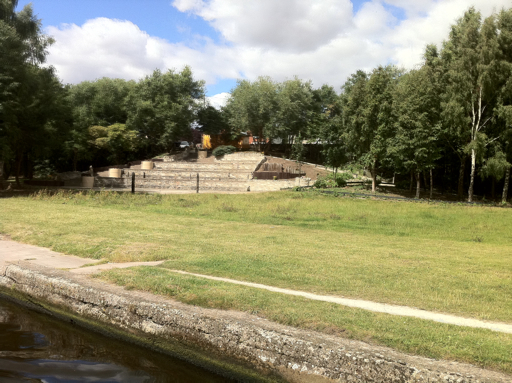 And we arrived back at Selby lock just in time to catch the tide to York - but decided not to take it because we had our guest on board, everyone's cars were in the wrong places, and we needed a few hours to take on water & provisions. 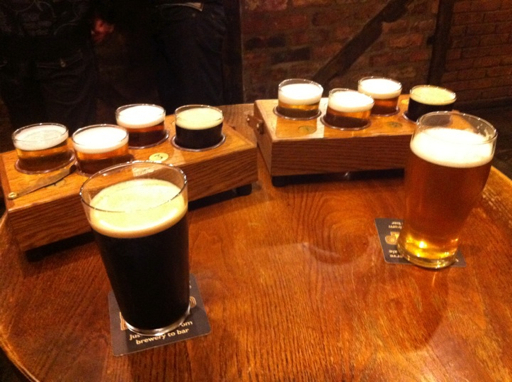 It turns out that this was not our wisest decision. 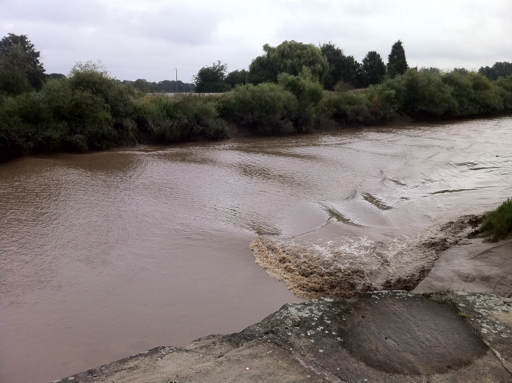 It leaves us with just one opportunity to head upriver to York in the next three days, because the tides either will be too early, after dark or too high. So we will set off tomorrow evening, two hours and fifteen minutes before dark, on a two hour journey up a tidal river with no moorings. If we get it wrong, then at some time on Saturday morning I will be posting the next entry as we whip past the Port of Hull on our way to the bottom of the North Sea. It feels like we have been unfaithful. We've just got back from a ten day holiday on a boat we hired before we bought Honey, and travelled into central London for a long weekend. 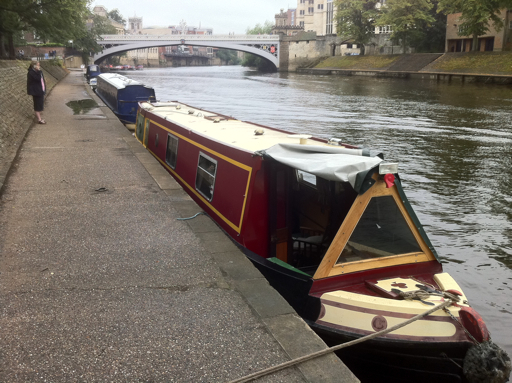 The amazing thing is that if you have a boat, mooring in the heart of the capital is free for up to 14 days. So we saw friends, visited museums, watched a West End play, went to the Dr Who exhibition, visited the zoo, shopped on Oxford Street and cruised the waterways. What could be better? 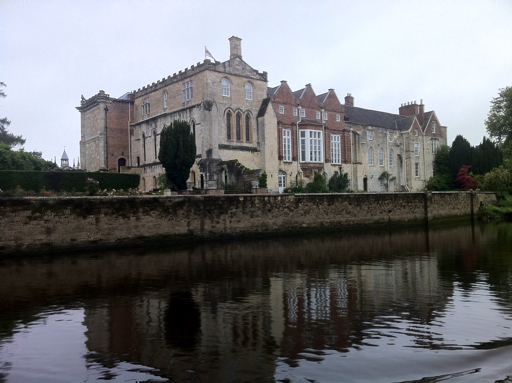 After a lovely long weekend in York, sampling the beers and chatting to other boaters, we set off yesterday lunchtime to return down the Ouse, along the Aire a little bit, and back home onto the Calder. 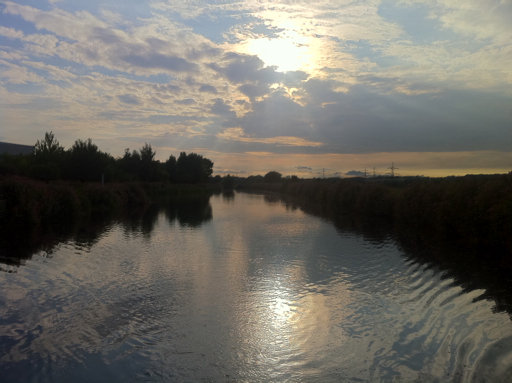 I already love the Selby Canal. 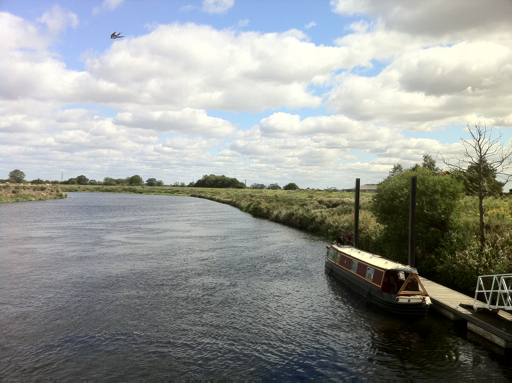 It's a short stretch of tranquility between the manic adrenaline rush of the Tidal Ouse (the 90 degree turn into Selby lock in a four mph current is exciting in any boat, but in a narrowboat designed to cruise at 4mph it's quite a challenge) and the commercial barges of the Aire & Calder. 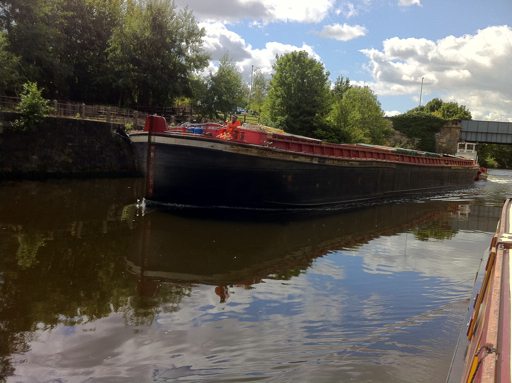 We met River Star, a 200 tonne cargo barge, coming towards us at speed near Ferrybridge and just got the hell out of it's way. There's a lot of post industrial decay, a power station and a few factories along the way from York to Castleford, but most of the two day journey is through rural (and beautiful) Yorkshire. We saw kingfishers, herons, gorgeous woodlands and somebody's abandoned chair. Then we watched the news, heard about riots, and decided we wanted to stay on the boat. We've heard about the tidal Ouse - and it didn't disappoint. First, the aegir came through, lifting the water level by four feet as it passed us. Then the Selby lockie waved the narrowboats through - into a 7-8mph flow. If it wasn't for the pouring rain, it would have been a perfect morning cruise. We found a fantastic mooring at the museum gardens, and then carried the laundry bag the quarter mile home so we could bestow offerings of Persil on the family god Hotpoint. For the next few days we get to play on the boat and sleep at home. 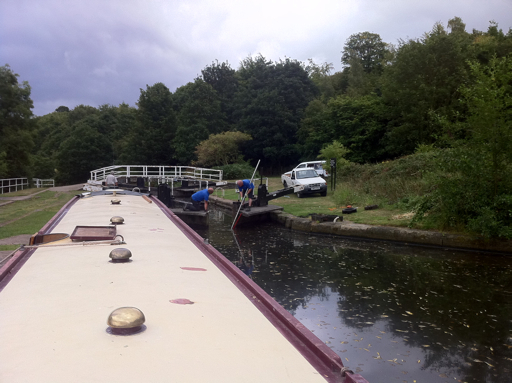 We should have known that our journey had been too smooth and swift: at Mill Bank Lock we saw the happy sight of a BW man trying to remove an obstacle from under the top gate. As the hours wore on three car tyres were removed, but still the gate would not close. A delay of three hours, followed by a display of boat handling that would have won a BAFTA comedy award, would have to be enjoyed before we could start moving again. 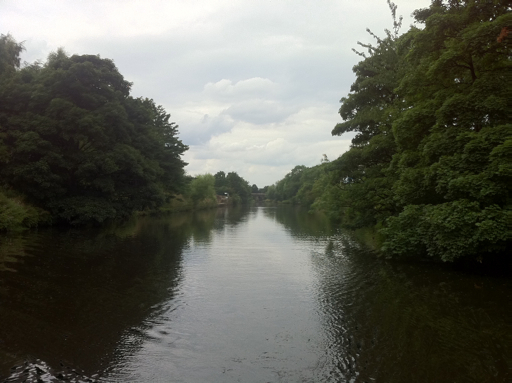 But the River Calder was wide, lined with flowers and a delight to navigate. Finally, the owners and residents of Fairies Hill met us with an open lock and warm greetings (not to mention eggs from the local hens). Honey is home in time for a warm sunset in green, peaceful surroundings. It feels like we've returned to civilisation. After the low waters of the Huddersfield Canals, not to mention the narrow tunnels, 74 locks with rotten gates and relentless weeds, the clear, wide, deep River Calder has been a delight. Just 7 locks in 5 miles, and two of them were open flood locks. Anyone fancy a spot of water skiing? The build up of weeds and the lengthy periods on tickover had even worn Honey out: the engine was smoking by the time we finally left the Huddersfield Canal - but a quick clean of the propeller and a lengthy blast with the throttle wide open and all was well again. A service when we reach Fairies Hill won't hurt, either. What surprised me most about the Huddy was the relative scarcity of traffic. We have seen a small handful of moving boats - although the crew of Napton Lass were an absolute delight and we hope to meet them again. 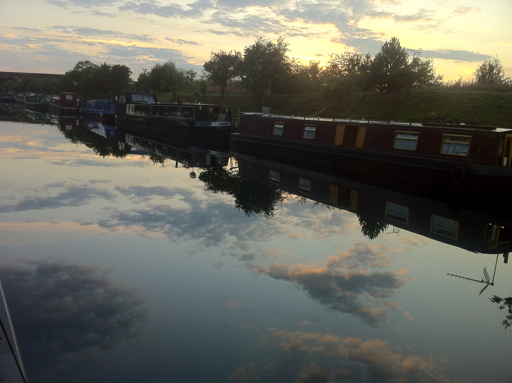 The small but perfectly formed Aspley Marina also went the extra mile to be welcoming and helpful. And even though the Huddy was hard work, it was breathtakingly beautiful, rewarded us with some charming village stopovers (and delicious beers) and was worth doing just for the tunnel. 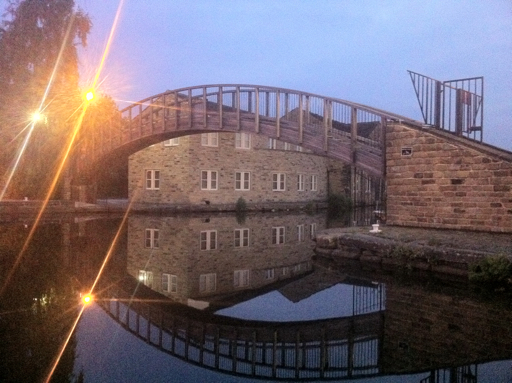 Tonight, we are enjoying a calm, warm evening at Shepley Bridge. The swingball and comfy chairs are on the towpath, the autistic child is de-stressing after a minor meltdown by hiding in a dark cabin with the iPad, and a bottle has been opened.